School holidays, deadlines, research, plan changes, backlogs of other things piling up, and yes, the blogging suffers…What does one do? 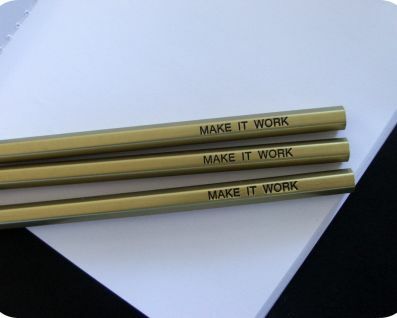 Well because I don’t have Tim Gunn here to prod me along, I bought these from Emma Makes. I have been listening to the Cultural Icons series of podcasts on Jam Radio. I stumbled across them when I was doing research for the Barry Brickell book when I found a wonderful interview of Brickell by Hamish Keith. This is an amazing project and an invaluable resource. I can only hope that the idea takes off or is expanded to other regions. Today I listened to Par.t II of an interview of Martin Edmond by Hamish Keith – great stuff and there are more on the way. Stuff (NOT the website) has taken over my life. 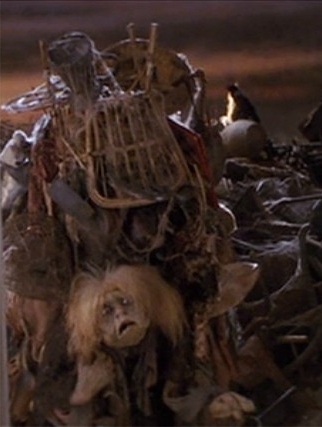 I am feeling a bit like the Junk Lady from the film Labyrinth, overwhelmed by things. Which has led to a reduction in blogging – and other writing projects. Several interesting things have come my way though. Firstly I was sent a great MP3 of Dave Hickey speaking (audio file here – its big!) He made some excellent points and I felt they were very relevant to the New Zealand institutional art scene. [Hatip MC for the link]. One take away message though for me was that art is an elective, not a compulsory course, so to speak. Art is a luxury. As my twitter followers will know, I can be a bit whiney about my relatively comfortable middle-class existence. Art (in its broad sense) is my luxury and I should probably appreciate that more instead of moaning that I can’t get to see more exhibitions or buy more books. Deviating a bit from Hickey’s view, and whatever their state, I am very appreciative of public galleries (and libraries!) as I get to see so much at very little cost. I have also been very lucky to meet with some extremely interesting people of late and to read some great poetry. It’s been awesome to be able to help out a little by scrounging for knitting needles for the binding of my good friend Helen Heath’s forthcoming chapbook Watching for Smoke. This is being published by another wonderful Helen (Rickerby), at Seraph Press. Its very energising to be around people who are passionate about what they are doing and how they are doing it. In this vein, I was fortunate enough to be introduced to Dean Havard at Kilmog Press, who produces beautiful handcrafted books and have had great discussions with poet Michael Steven. Kilmog has just published his chapbook Centreville Springs and its a good one! I was so impressed that ‘bookshop guy’ knew Pessoa (and on my last visit taught me how to pronounce ‘Camus’ properly) that I ended up walking away with Rimbaud’s prose poems which was at the top limit of my budget. As this flying bookshop visit was on the way to a family outing to the Botanical Gardens I also ended up carrying Rimbaud and a copy of Edmund White’s ‘The Flaneur’ with me around the park which felt a tiny bit surreal. *Hope you don’t mind me repeating this – its been making me laugh all afternoon. Today we went to a Anything Vintage day at QEII Park. Ok – not much art but I kept thinking of the video I’d just seen of Gaylene Preston’s “War Stories” and Aunty Jean talking about the Marine camp at what is now QEII park and the tragic loss of life during a beach landing practice. And that got me thinking of this ukulele song as performed by Israel Kamakawiwo’ole. I’ve been trying to play this today as I’ve just restrung my uke but my finger is 1/2 a cm shorter than it used to be and still quite tender so I have to work out a whole new way of playing. Slowgoing. For now I just like listening to Iz because its such a great song. A friend was out on the waves today and this is for him too, because “facing the ocean” is a great concept for all of us, even those not braving the aquatic food chain.